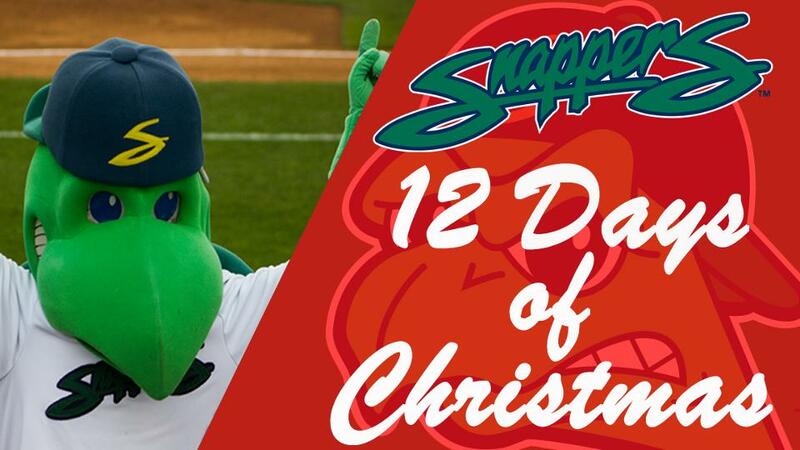 As the snow continues to fall and we scramble to find those perfect holiday gifts, the Beloit Snappers are making your life a little bit easier with our holiday season specials. This year, the Snappers are selling one-of-a-kind Snappers Scarves and Snappers Christmas Ornaments to get you in the holiday spirit. Not only that, but both of these items make perfect gifts for anyone. Additionally, the Snappers are going to kick off the holiday season by participating in Hollidazzle on December 7th from 5-9 PM. We will be stationed in the Center for Entrepreneurship in Liberal Education at Beloit College, which is in downtown Beloit next to Suds O'Hanahan's. At Hollidazzle, we will have a great selection of Snappers merchandise available and opportunities to purchase Season Tickets, Snappy's Kids Club memberships, and much more for the upcoming season. Secondly, the Snappers are offering a limited time flex pack that you can buy online today. The Holiday Season Flex Pack includes 5 General Admission Tickets, a Christmas Ornament, and a Snappy's Kids Club Membership presented by Culver's. You can get all of this for just $50! But don't wait, as this is only a limited time offer until January 11. Sales and deals are available through online purchases and in-store at The Shell gift shop at Pohlman Field. The Shell gift shop will be open on every day, including Sat., Dec 15 & Sun., Dec 16, from 9 AM - 5 PM. To visit our online store, please click here. The Snappers are in full holiday mode as Snappy and his friends prepare for the upcoming holiday season. Make sure you don't miss out on these awesome events, deals, and packages because they won't be here for long.